Yellow sticky notes are seen everywhere in the computer world. If you have Windows 7 then you are already familiar with the Sticky Notes application that comes preinstalled on your computer. This allows you to leave virtual notes for yourself all across your desktop in order to remember certain tasks that you have to get done. In the world of web design, yellow sticky notes can also serve a purpose as an attractive graphic to put on your website. 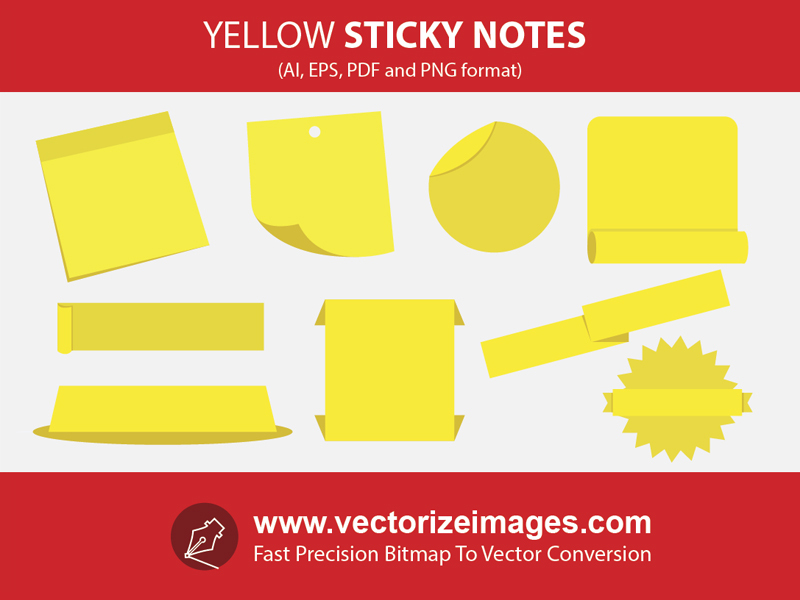 Web designers use sticky note images all the time for headers, lists, tables and so on. 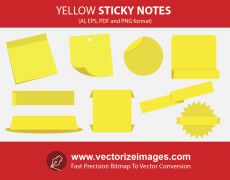 Below are high quality vector sticky note images that come in AI, PDF, PNG and EPS format.